Two Halloween movie franchise alumni will appear on NBC’s upcoming reboot of the reality show competition series Celebrity Apprentice, now hosted by The Terminator himself, Arnold Schwarzenegger (formerly hosted by Donald Trump). Kyle Richards (pictured above), who played Lindsey Wallace in John Carpenter’s Halloween and is better recognized today as the star of the Bravo reality show The Real Housewives of Beverly Hills, is one of the contestants in the upcoming new season of Celebrity Apprentice. Richards will be competing against boxing icon Laila Ali, actress Brook Burk-Charvet, NBA Hall of Fame member Eric Dickerson, Grammy winner Boy George, actor Matt Iseman, actress Carrie Keagan, Emmy winner Carson Kressley, Olympic gold medalist Lisa Leslie, comedian Jon Lovitz, reality star Nicole “Snooki” Polizzi, UFC fighter Chael Sonnen, model Porsha Williams, Heisman winner Ricky Williams, Wilson Phillips singer Carnie Wilson, and Motely Crue singer Vince Neil. Halloween: Resurrection star Tyra Banks (pictured below) will also be on the show, but she will be featured as one of the “advisers” in Schwarzenegger’s boardroom, along with billionaire Warren Buffett, L.A. Clippers owner and Microsoft CEO Steve Ballmer, entertainment lawyer (and Schwarzenegger’s nephew) Patrick Knapp Schwarzenegger, and actress Jessica Alba (Sin City, Machete). 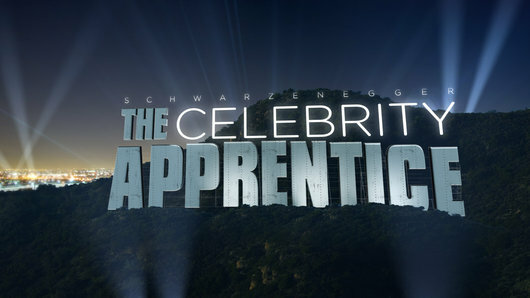 This season’s Celebrity Apprentice winner will receive a check for $250,000 to give to their designated charity. Filming is currently taking place in Los Angeles. A premiere date has not yet been announced. Click HERE to read our INTERVIEW with KYLE RICHARDS! ← ‘The Daily Show’ Gives Michael Myers Supporters a Shout Out!